Stepaside locals have been reassured that the reopening of the garda station is on target for a summer opening. It comes as locals raised concern over a lack of work happening on the site in the village. He told Dublin Gazette that work seemed to finish at the end of November and “nothing has really happened in the last six to eight weeks”. He said that the OPW also contacted him personally and said that work was going to be starting “very shortly” in the first quarter of 2018 and finished by the “second quarter of 2019”. Minister Shane Ross confirmed with Dublin Gazette that preliminary works are complete, and the reopening of the station is on target for a summer opening. 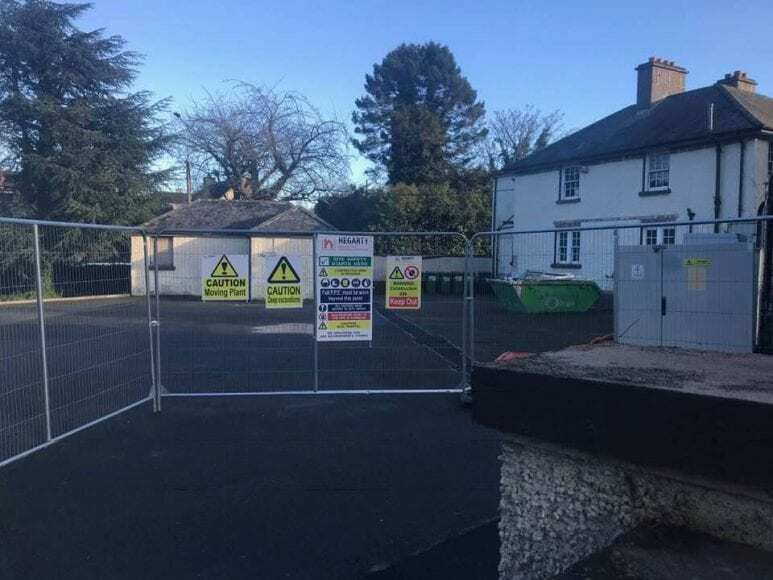 “I’m very pleased that my colleague Minister Kevin “Boxer” Moran, was able to confirm to me this week that the plan to reopen Stepaside Garda Station is on target and works are about to kick off onsite. “It might have taken longer than we anticipated but preliminary works are all complete and the old Garda Station is now a secure site for main contractor’s fit-out works. He said the project will cost over €1m, which will include the complete refit of the internal area of the building, rewiring, fitting out of rooms to An Garda Síochána’s specifications, security works, roof repairs, window renew and repair, toilets and finally painting and decorating.